Bite-sized foods are ideal to make for crowds both large and small. 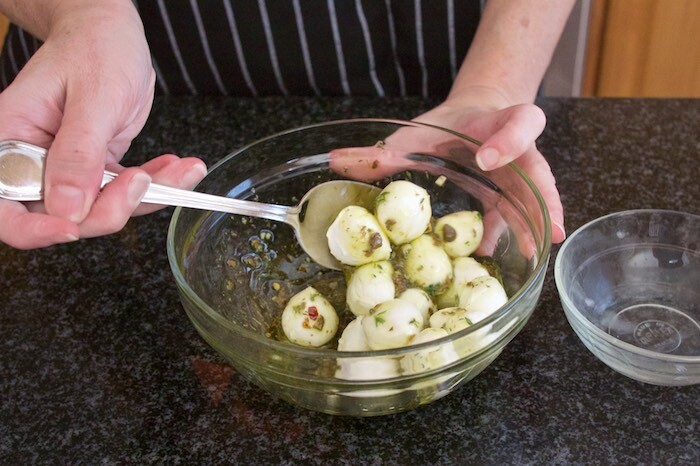 Served with toothpicks these tasty marinated mozzarella balls would make an elegant hors d’oeuvre for New Year's Eve. Prepare ahead of time and watch them quickly disappear as your guests arrive! Heat 1 Tbsp. of extra virgin olive oil in a small skillet over medium heat. Add garlic and crushed red pepper and stir until garlic becomes fragrant. Remove from heat and stir in the thyme. Allow to cool slightly before adding capers and remaining 3 Tbsp. of olive oil. Season to taste with salt and extra crushed red pepper. Pour over mozzarella and stir to coat. 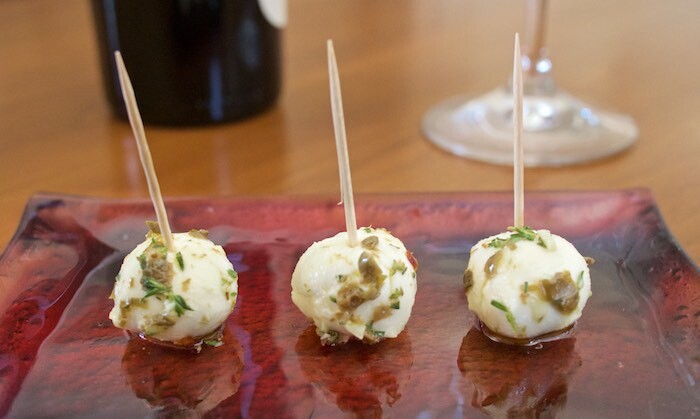 Serve with toothpicks as individual appetizers. These would disappear in no time. Just great little bites. I'd be in danger of eating all of these myself - perfect little bites for any party! These wouldn't last long in my house! I love me some bite sized foods! Yum! Such a perfect appetizer, I could eat the whole batch by myself! Interesting idea! I love all the flavors here. Yum! These look delicious and I love how easy this recipe is!! That is such a great appetizer! Ooh, these sound amazing!! If there were any leftover the next morning, I bet it would be so yummy to add a couple to some scrambled eggs for breakfast! !